The current crisis has generated a renewed interest in the business cycle. 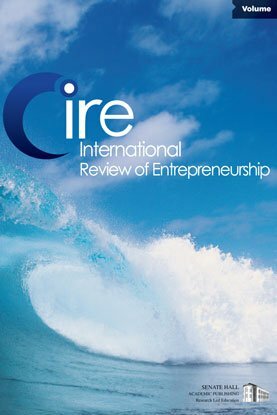 In particular, the search of alternative solutions to the traditional ones has lead to a re-examination of the role of certain key economic variables in the business cycle: this search has put the relationship between entrepreneurship and business cycle into the centre of attention, turning it in a highly hot policy issue at the time of writing. However, this relationship has been a traditional source of controversy in the Economics of Entrepreneurship since there is mixed evidence about how aggregate self-employment rates vary over the cycle. The lack of homogeneous long term time-series data for most countries, until recent years allow now to reconsider empirically this relationship. Like other recent works (Farias et al. 2009 or Koellinger and Thurik, 2009), this work treats to fill at least partially this gap adding new evidence about this relationship. To carry out this task, this paper examines the co-movement and causality between self-employment and business cycle in the EU-12 countries using annual data spanning the years 1983 to 2008, evaluating the robustness of this relationship. In addition, it is a common practice in previous empirical research to consider self-employment as a homogeneous group. However, we will argue that there are several reasons for supposing that the relationship between the business cycle and self-employment can be different for entrepreneurs who hire external labor–employers and for those ones who work on their own-account workers. Our empirical estimates below will shed light on these conjectures. Three key findings emerge: i) the relation between self-employment and the business cycle differs across the two components of self-employment, i.e. employers and own-account workers; ii) the relation between self employment and the business cycle is dominated by the own-account workers development over the cycle; and iii) the relation between self-employment (own-account workers) and the business cycle differs across countries.